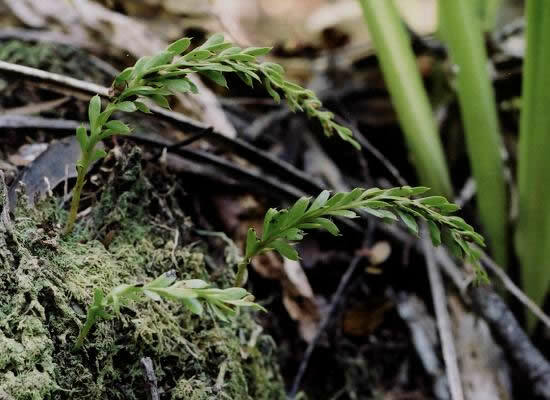 Species: Tmesipteris sigmatifolia (Spreng.) Bernh. 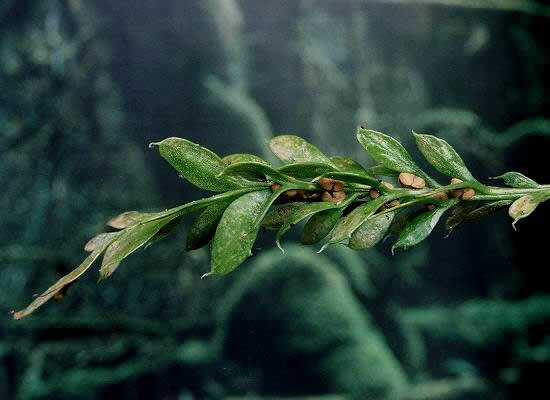 The rarest of the fork ferns, sporangia have rounded ends with unequal sized pairs.